MEPs voted on Tuesday in favour of the new copyright directive, including two controversial articles that were feared will harm Europe's creative and digital economies. The two articles in question, Article 11 and Article 13, have been criticised amid fears they might curtail freedom of information online. "The directive aims to ensure that the longstanding rights and obligations of copyright law also apply to the internet. YouTube, Facebook and Google News are some of the internet household names that will be most directly affected by this legislation", the European Parliament said in a statement. "The directive also strives to ensure that the internet remains a space for freedom of expression." The copyright directive was passed with 348 in favour and 274 votes against during the parliamentary plenary in Strasbourg. 36 abstained. No separate amendment was considered for a vote. A proposal to vote on individual amendments, like a separate amendment to delete Article 13, was rejected by a majority of 5 votes. Not all MEPs were in favour of the directive's article 13. MEP Julia Reda, from the German Pirate party, warned that article 13 would a "disaster for internet freedom" and a "disillusion for an entire generation." An online petition calling for a revision of the directive and the removal of articles 11 and 13 gathered over 5 million signatures and the support from several MEPs. "Make a stand for the preservation of the free internet and freedom of information!" the petition, created by the Save the Internet group, read. On its website, the group explained that because the directive included "upload filters", which are filters blocking content if it is estimated that a copyright might be violated. "However, error-prone filters that offer the possibility of manipulation are not the solution. We need a new copyright", the group said. "Freedom of information and freedom of expression are particularly at risk." The Electronic Frontier Foundation, which aims to "protect civil liberties in a digital world", regretted that the directive "undermines Internet users' ability to share their work and creates new limits on their ability to link, quote, and critique the news", it said in a statement. More than 150,000 people opposing the directive's articles 11 and 13 protested in various European and German cities over the weekend, including Berlin, Brussels, Amsterdam, Hamburg, Luxembourg, Munich and Zurich. Ahead of Tuesday's vote, websites and online businesses showed their opposition to the directive with the hashtag #SaveYourInternet and with various protest campaigns. Websites such as Twitch and YouPorn showed banners in support of #SaveYourInternet on their social media pages. Reddit said it would show users trying to upload content a message reading: "We are unable to post your link or media unless you can verify to us that you own the copyright to it (...) #SaveYourInternet". Internet companies reacted with concern to the vote in favour of Article 13, which is feared to harm online creativity. Google declared that the EU copyright directive was improved, but the company added that it was worried the directive would "still lead to uncertainty" and said it would "hurt Europe's creative and digital economies", Reuters reported. "Article 13 could still have unintended consequences that may harm Europe's creative and digital economy", YouTube said in a press release. The European Commission saluted the vote on Tuesday, saying in a press release: "The Copyright Directive protects freedom of expression, a core value of the European Union. It sets strong safeguards for users, making clear that everywhere in Europe the use of existing works for purposes of quotation, criticism, review, caricature as well as parody are explicitly allowed. This means that memes and similar parody creations can be used freely. The interests of the users are also preserved through effective mechanisms to swiftly contest any unjustified removal of their content by the platforms. At the same time, the Directive will improve the position of creators in their negotiations with big platforms which largely benefit from their content. Writers, journalists, singers, musicians and actors will find it easier to negotiate better deals with their publishers or producers. The new rules will also allow research organisations, universities, schools, libraries and museums to use more content online. The Directive takes account of new technologies to ensure that researchers can use text and data mining to its full potential." Others reacted favourably to new provisions introduced by the directive: "For the first time, the EU provides guarantee rights for consumers of digital content and services like software, streaming or video games", the European Consumer Organisation said in a press release. What's next for the Copyright directive? 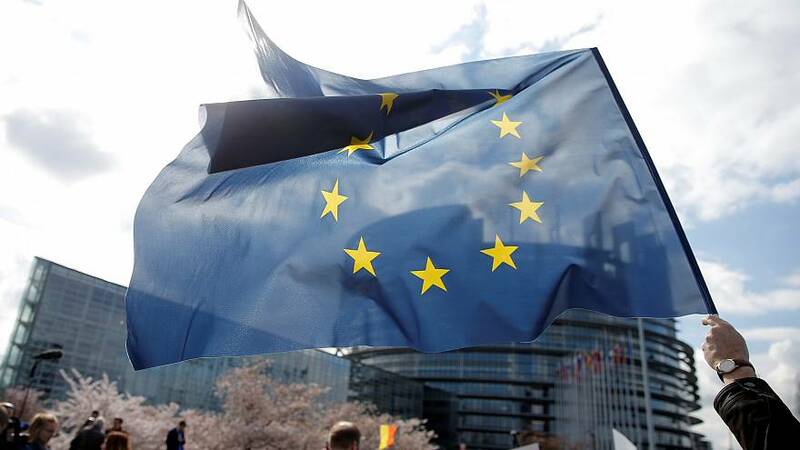 EU member states will have to approve the European Parliament’s decision on the directive in the coming weeks. If they accept the text, it will be published in the official journal and EU member states will have 2 years to implement it.